Easy to use. I wish extra needles were available. My dog likes to retrieve, but the Dokken Duck injected with dead fowl scent really excites him. His retrieves are at a higher energy level with the Dokkens scented duck. I recommend this product. "It is easy to attach the needle to the cartridge." It is easy to attach the needle to the cartridge. The instructions tell you to dispose of the needle. I doubt anyone will. 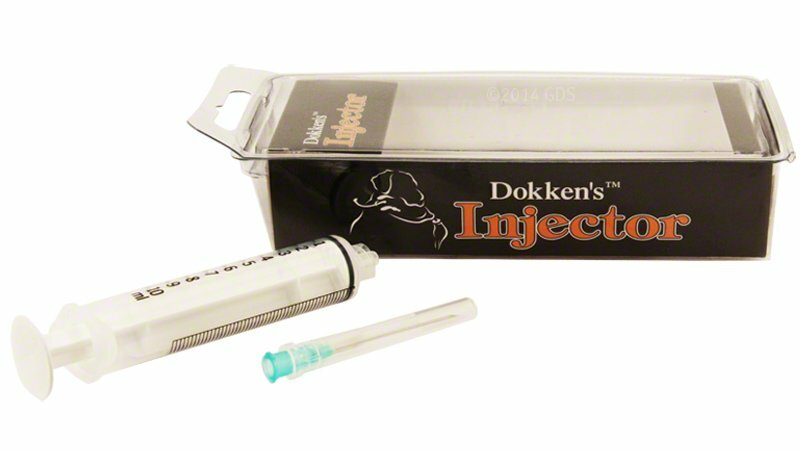 If you want to refresh the scent by injecting more into the Dokken dummy you are going to need it again. "Great for the Dokken Dummies"
Great for the Dokken Dummies. I notice that I don't have to put the scent on as much when it is injected. "I have 4 of them, and they all work well." I have 4 of them, and they all work well. He has done well with the DeadFowl on land and water retrieves, but he was doing well before the scent injector, so I don't know whether it made any difference or not. It certainly didn't hurt! "Need option to order additional needles." Need option to order additional needles. "Easy to use & works fine"
rhodesian ridgebacks & australian shepard. Hunts. Family pet. "Works well, but directions say 10cc and injector in ML? No need to throw it away after one use." Works well, but directions say 10cc and injector in ML? No need to throw it away after one use. Has worked several times. Dead fowl duck is so dense the needle wouldn't penetrate much. It also seems to be a one use, and then toss it. Use to inject scent into the Dokken Deadfowl Trainers and other "solid" porous training dummies. Contains one syringe plus needle. Training scents are available separately. Slowly inject approximately 10 CC's of scent around neck, middle and tail of dummy. Repeat about every three weeks under dry conditions, once per week when using in water.